Dusicky – Halloween – Dia De Los Muertos ? What do you celebrate at the end of October / beginning of November? In Czech Republic we celebrate Dusicky, which is a nice and common name for the Day of Deceased. In translation means Souls. 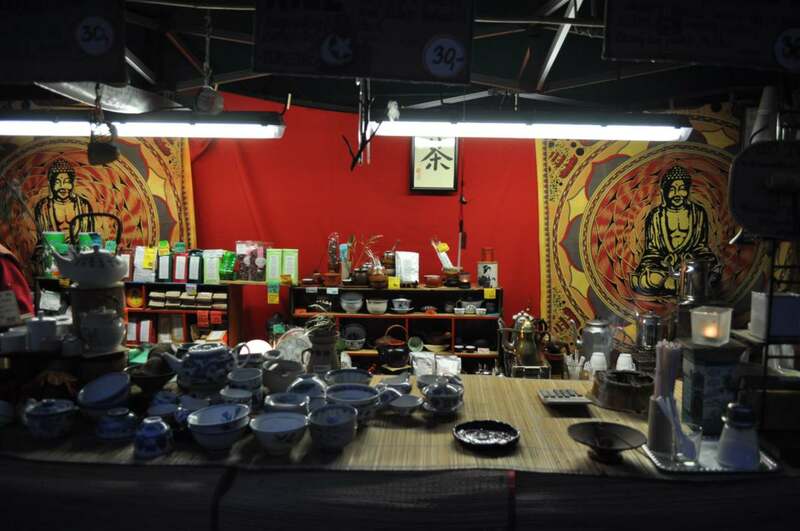 At the weekend around this feast you will meet a lot of festive drivers, cars will be full of aunts and uncles and grandmothers and grandfathers, not talking about decorations for graves – baskets with dried flowers, artificial flower compositions, autumn wreaths and candles. 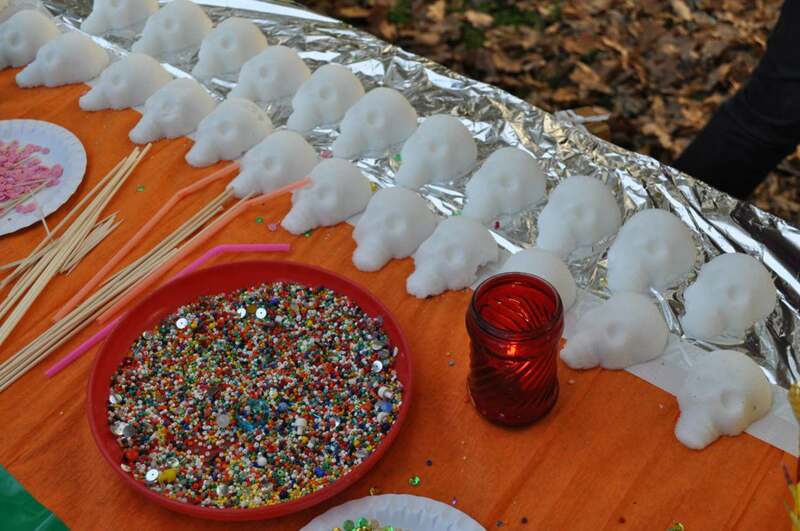 Graveyards will live with families cleaning and decorating their graves. 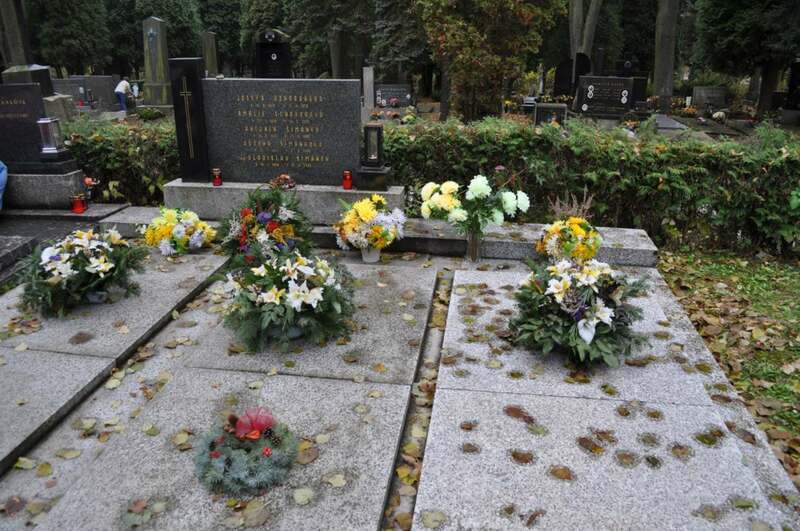 At this time we always go to Jihlava, small city in Czech Highland, where our family grave is. For me it is a big celebration, first as I love Jihlava, walking in the city, second our bigger family will meet during this occasion and I really enjoy it. 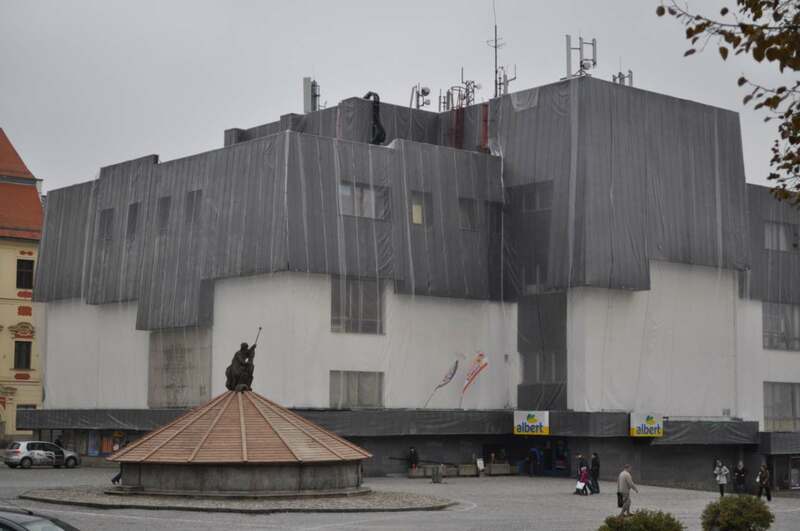 Jihlava square - the terrible building was covered similarly like the fountain in front of it. Just the reason for it was different. However, you can also celebrate Halloween here in Prague. 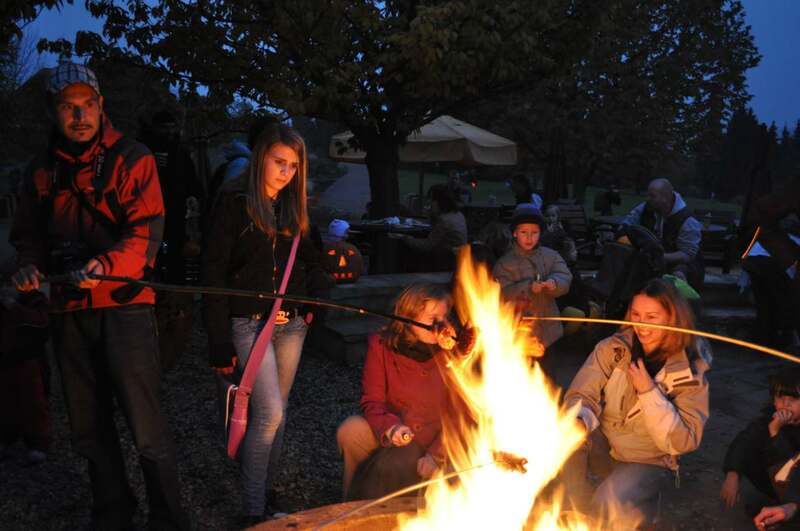 I often go to Prague Botanical Garden, where you can make your own pumpkin, eat pumpkin pie, soup, but also typical Czech sausages roasted in the fire by yourself. Children, but also adults, are dressed as Halloween asks and at the dusk there is a parade walking around the garden. 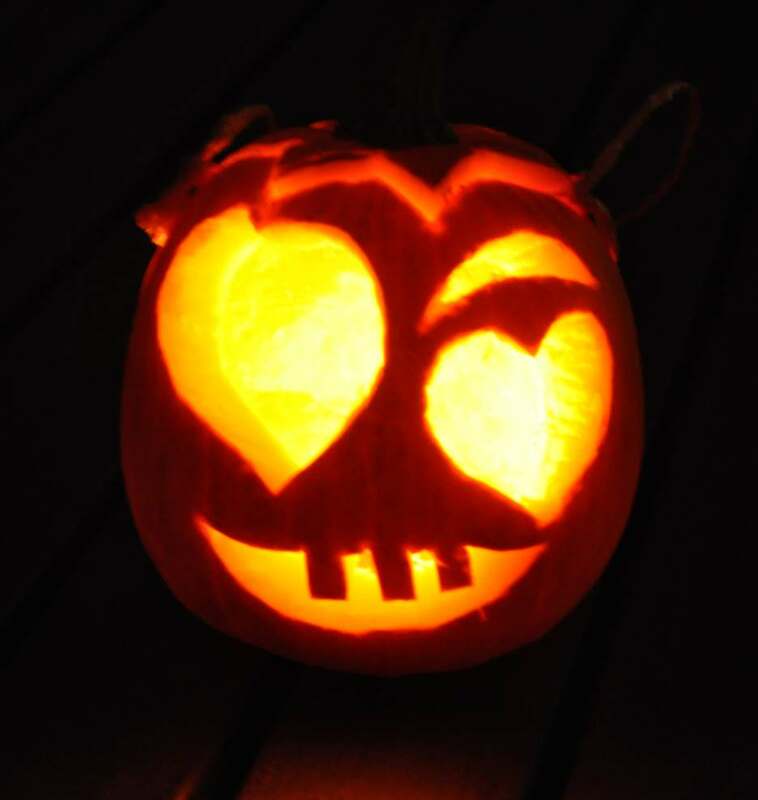 The route is lined with pumpkins with candles; also masks are carrying their lightsome pumpkins (small ones) or lanterns. 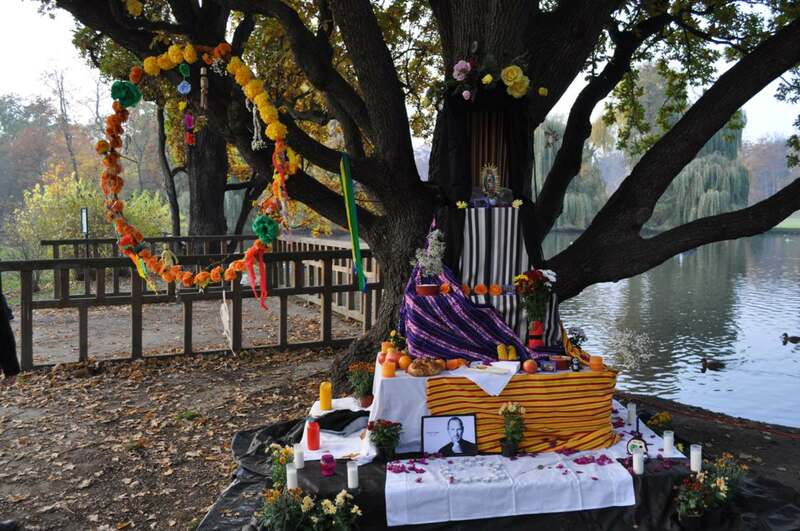 This year I had found out that celebrations of Dia De Los Muertos took place at Stromovka, our wood in Prague, by the pond with ducks the first November day. Mexican music and Mexican food was there, you could decorate your own sugar skull or cut out the skeleton for your Mexican altar. We also get an interesting explanation what Mexican altar means, what is on it and why, I am not going to let it out to you, but this year we asked Steve Jobs to come to Prague to celebrate the Day of Deceased with us. We put on the altar his photo, black turtleneck, Levi’s jeans and some food for vegetarians. Unfortunately I didn’t wait long enough to meet him. 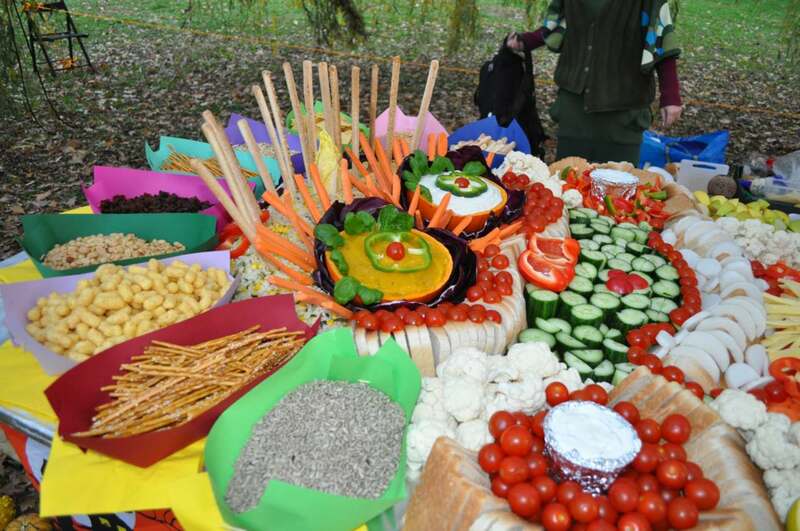 So you see that you can enjoy all the feasts in Prague, and not only around Halloween. Eatable skull on the table - this looks brilliant! Wow, I am impressed. Mexican customs in Prague….Neato! May I copy this last picture to show my relatives? YOu can copy,you cn show them my whoel blog :-). This yeart we are also having event NAVIDADES HISPANAS / HISPANIC CHRISTMAS / HISPÁNSKÉ VÁNOCE in Prague at Dec, 9, don’t know what it will be yet, but I hope I will have time to attend. Our communistic regime few decades ago … it was covered for some time like a piece of art or protest, now it’s uncovered again, it is a shopping place in the middle of beautiful medievel square!!! In Prague we have something similar, main highway separating Neo Rennaissance building of National Museum from Wenceslass Square (one of two main squares in Prague). Again the work of former regime, terrible … but othervise Prague and Jihlava an more of the cities here are just beautiful!